For the next version of Happy Usagi, we are giving each bunny its own look. I say “we”, but actually most of the hard work is done by Olivia, graphic designer and source of inspiration for many helixsoft games. Would you like to hear details on how we draw the graphics? 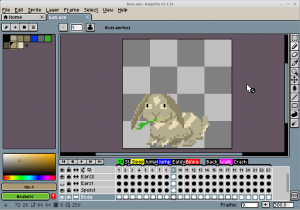 For Happy Usagi, the bunnies are drawn with the very cool aseprite editor. It has all the features you might expect from a pixel art tool. Especially useful for us is that you can export each layer as a separate spritesheet. 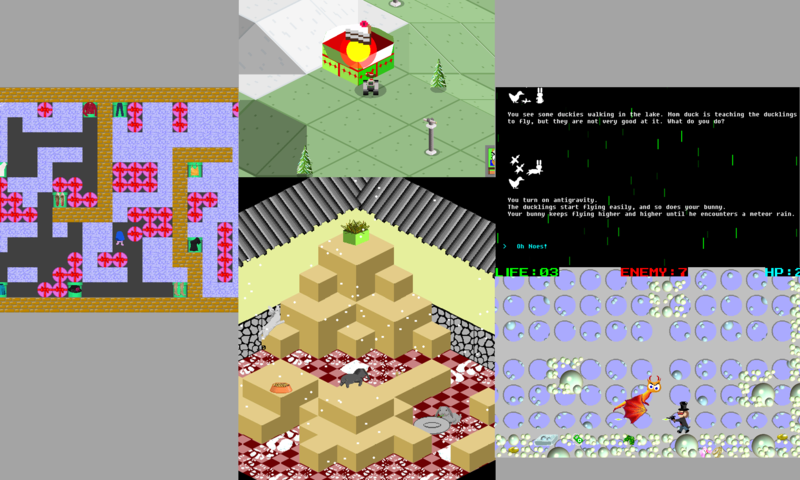 I programmed the game to recolor and recombine the layers again in every possible way. For example, a layer for spots, a layer for droopy ears and a layer for upright ears can be recombined into a brown bunny with grey spots and droopy ears, or a white bunny with brown spots and upright ears. NB, I’m experimenting with sharing on social media. Like I said in the first post, I’m trying to figure out the best way to do this. If things are not to your liking, let me know, I can tweak it for the next time. Next PostNext Usagi No Yuki: What’s in a name?